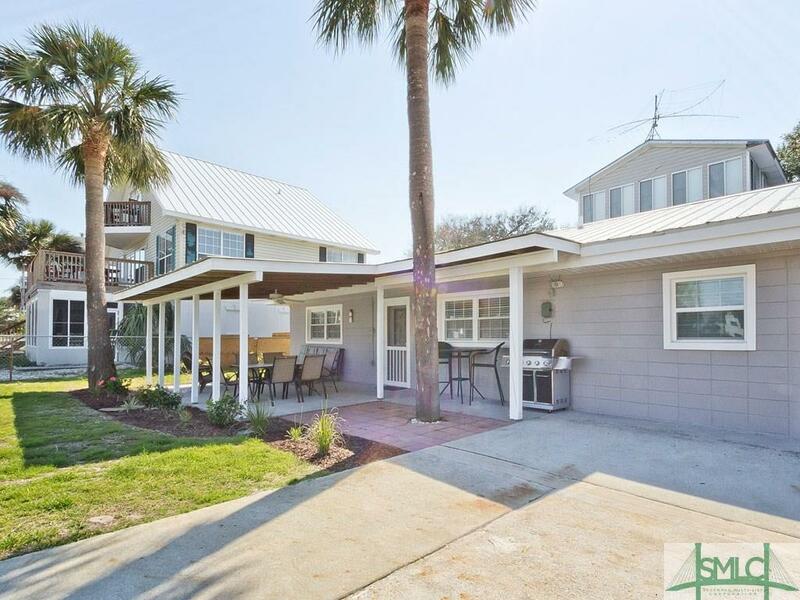 Adorable 4BR/2BA 1100sqft 1 Level Tybee Cottage just 1 block away from the Beach & Butler Ave! 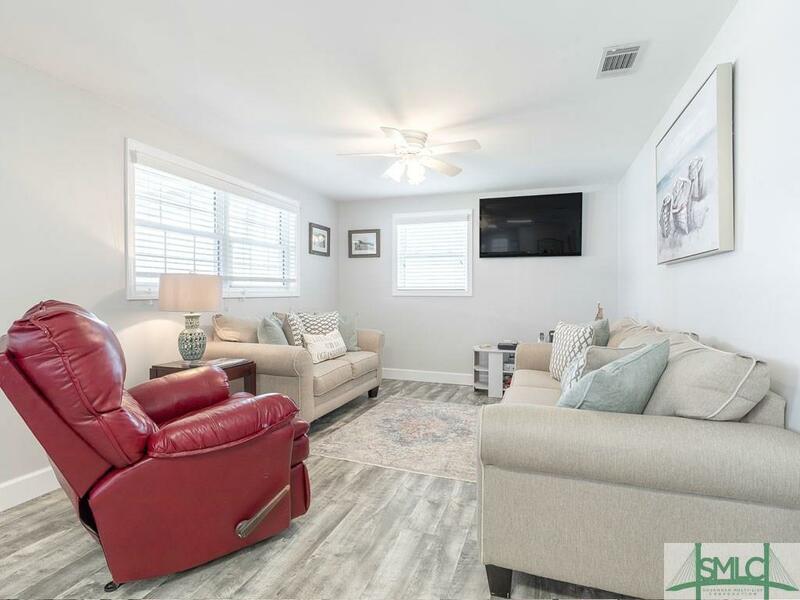 200 yards to the Beach, this Turn-Key & Ready to Rent Mid Island Renovated Home has a Potential Vacation Rental Income of $45k+ & sleeps up to 8 comfortably! Brand New Wiring throughout and Brand New HVAC System! Living Room open to the Eat-In Kitchen. Luxury Vinyl Plank Flooring throughout entire home. 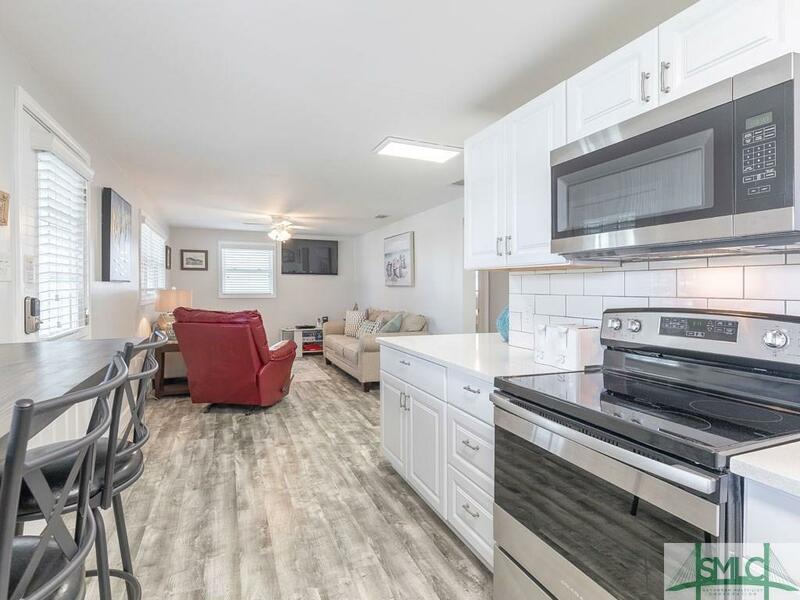 Coastal Style Kitchen all New Stainless Steel Appliances, & custom built bar top with seating for 4! 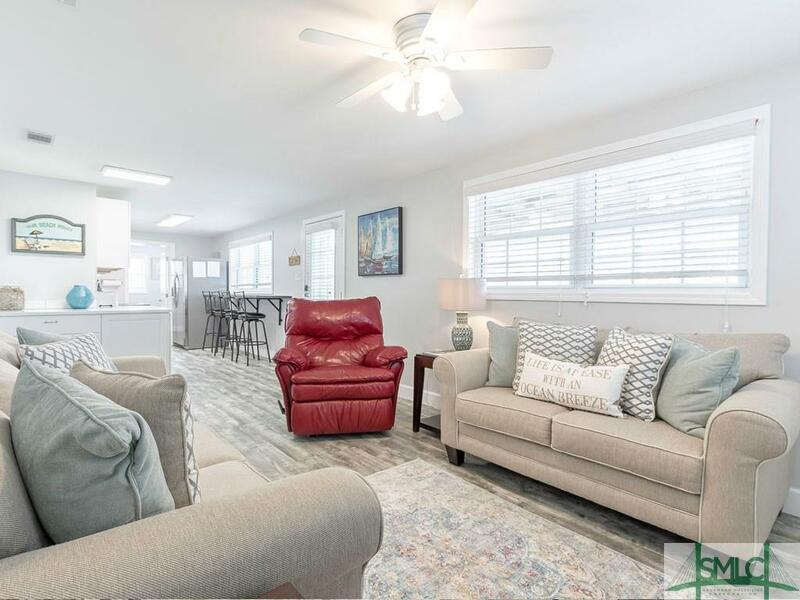 Huge Covered Front Porch is great for Relaxing at the End of a Fun-filled day at the Beach! Outdoor area feature a Dining Area and lovely handcrafted Outdoor Sofa & Firepit! Sodded Lawn w/ Sprinkler System plus beautiful Hibiscus plants! Master Bedroom w/En-Suite Bath 3 Generously Sized Guest Bedrooms are on the back side of the home along w/Full Bathroom. Hallway laundry hook up. Large Driveway perfect for a Boat Storage! Large Fenced Yard w/ Outdoor Shower & Beautiful Flowering Landscaping.